Technical session videos from the 2019 Esri Developer Summit are now online at the Esri Events Channel on YouTube. Below is a list of the ArcGIS Pro SDK for .NET sessions with links to the videos. These sessions are a great way to get introduced to, and updated on, the latest SDK information and development patterns. The slides for the sessions should be available on the Proceedings site in the coming weeks. 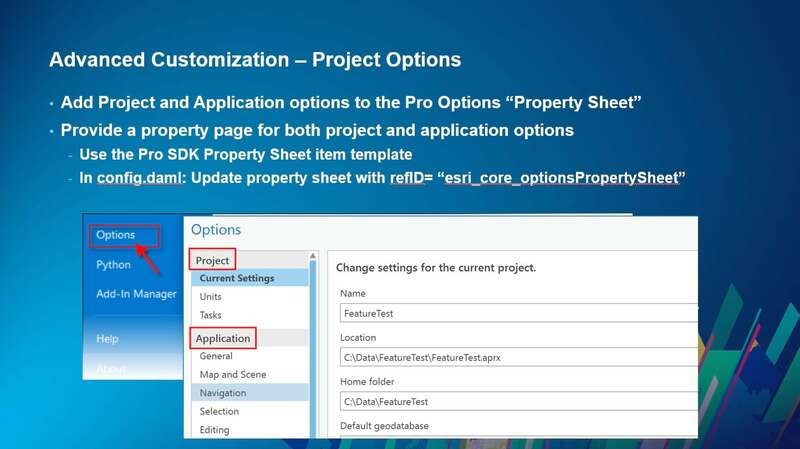 Learn how to customize and extend ArcGIS Pro with its .NET SDK. We’ll show you how you can get up and running quickly with the Add-in and Configuration customization patterns, declarative programming with DAML, and asynchronous programming with ArcGIS Pro’s QueuedTask. This session will use the Mapping and Layout API to demonstrate the MVVM programming pattern in-depth, including asynchronous considerations. Also covered is how to use Pro themes and styling. In this session we cover advanced customization patterns including custom project and application properties, Add-in versioning, and plug-and-play customization with DAML categories. In this session we cover the basic patterns for using EditOperation. We introduce the Inspector class for creating features as well as attribute editing. Additionally we highlight new patterns for template creation and annotation editing. In this session we introduce construction tools and editing tools and how to integrate your custom editing functionality into the Pro UI. We show customizing the galleries and integration into the create and modify dockpanes. In this session we look at advanced usage of Edit Operation to include chaining and edit operation callbacks. We will cover considerations for Long and Short Transactions and EditOperationType. We will investigate edit events and row-level events in detail to include edit cancellation and Undo/Redo. This is an intermediate level session for developers working with Feature Services in Pro. We will discuss feature service architecture and its relation to data storage and editing capabilities including branch versioning. We will provide guidance and insights into deployment options, authoring, publishing, caching, and dataset naming. We will explore how to work with default and named versions, short and long transaction types, and ramifications for save, undo, and cancel edits. 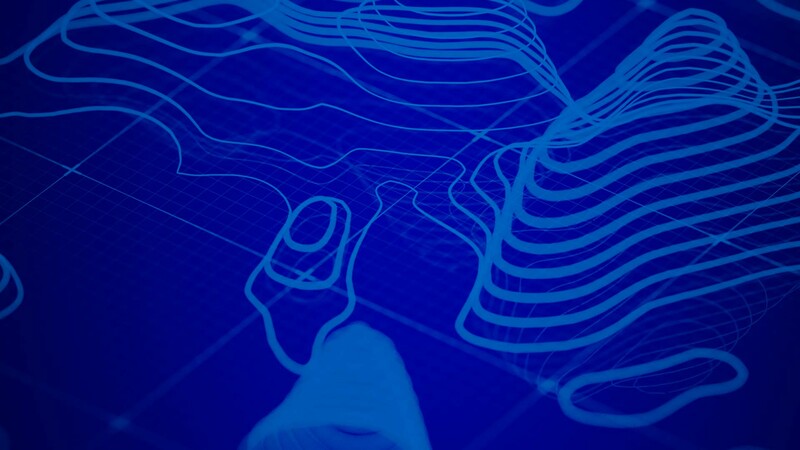 This session will provide an overview of the Geodatabase .NET API (ArcGIS.Core.Data) for working with data in ArcGIS Pro, including working with datasets, fields, queries, selections, joins and relates. This session will provide an overview of the Utility Network .NET API in ArcGIS Pro to create custom tools and applications for electric, gas, water and wastewater utilities. This session will review Pro add-in customization opportunities available through a series of Esri Partner product add-in demonstrations. With each demo, we’ll discuss the add-in’s workflow, the Pro SDK features and Pro APIs used, and resources for developers interested in building similar capabilities. Learn about the many capabilities of DAML in the ArcGIS Pro SDK. We’ll review and demonstrate using DAML for UI customizations like creating new tabs, context menus, property pages, and creating and using conditions. Learn how to use the ArcGIS Pro SDK with Imagery and Raster data to create compelling add-ins. Developers can use the ArcGIS Pro SDK to control how their imagery and raster data is displayed, read/write pixels and properties and control how data is processed. Learn about the many UI controls available in the ArcGIS Pro SDK, and how these controls can be integrated with Pro’s custom UI. We’ll review and demonstrate the Coordinate System Picker, Query Builder control, Geocode control, Table control and Map control. This session will cover beginner demos on installing the Pro SDK and building your first Pro add-ins. We’ll also review how to leverage the community samples as a foundation for your add-ins, and walk through the online resources. ArcGIS Pro 2.3 is now available, and with it many new updates to the ArcGIS Pro SDK. 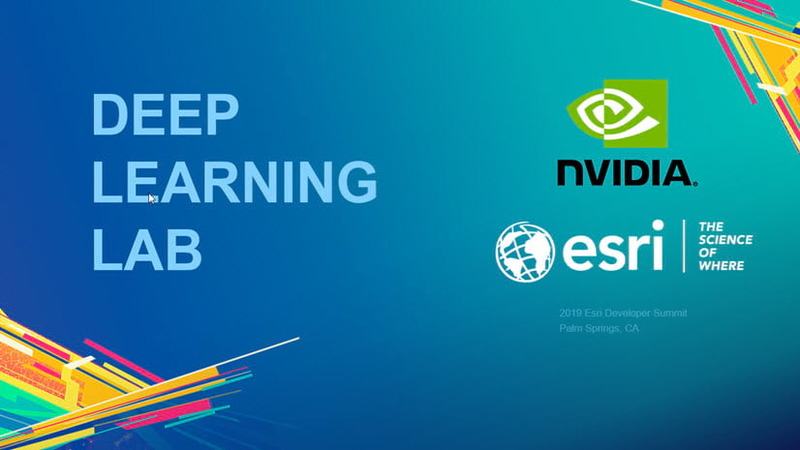 Esri and the Nvidia Deep Learning Institute collaborated on the first Deep Learning Hands-On Lab at the Esri Developer Summit. The new ArcGIS Pro Extensions NuGet Preview is now available on the NuGet Gallery.